The Gift Pack promo applies to customers buying US-made PRS models (excluding the new S2 Series) from participating dealers in the UK, France and Germany between 1-31 August. All you need to do to claim your Gift Pack is download the claim formhere and return it with your proof of purchase to the address on the form. 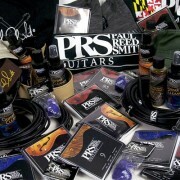 https://www.prsguitarseurope.com/wp-content/uploads/2013/07/PRS-PROMO_web-750x400.jpg 400 750 prsguitars http://www.prsguitarseurope.com/wp-content/uploads/2014/06/340-300x137.jpg prsguitars2013-07-31 09:00:522014-08-26 09:30:49PRS Gift Pack Promo!